– have a look at the resources page for a list of my favourite books on yoga, Ayurveda, food, and more. 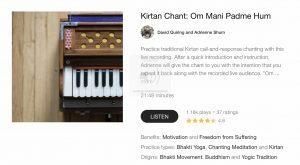 Practise Kirtan with us on Insight Timer! 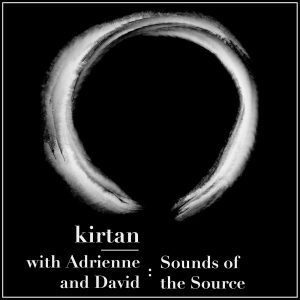 David and I are excited to announce that we have a kirtan meditation published on Insight Timer! 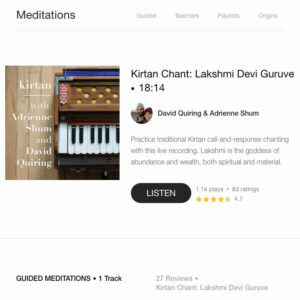 This wonderful app has an extensive library of guided meditations to choose from, all for free. We are so grateful to be part of this huge worldwide community of practitioners and for the positive and encouraging comments that we have already received. If you don’t already have it, download the app on your phone and enjoy a beautiful resource for supporting your meditation practice. Thank you, and enjoy! Chant along to a recording of Lakshmi Devi Guruve! 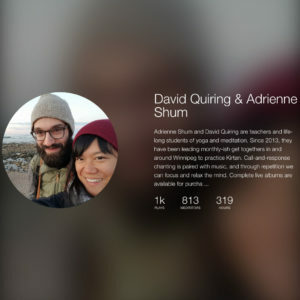 Our bio on the Insight Timer website! Holy smokes!